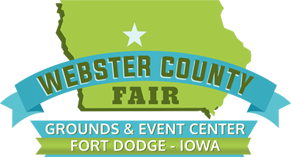 Being a committee memeber is a great way to help out at the fairgrounds. What does being a Committee Member mean? The Building & Grounds Committee evaluates what areas of the fairground need repairs or improvments and works to get those completed. The Entertainment Committee establishes what entertainment will funded by the Fairgrounds year round and during the fair. The Marketing Committee is responsible for communicating the events at the Fairgrounds, ensuring strong customer experience year round and getting strong community support. The Flea Market committee is responsible for laying out and getting vendors in to this monthly event. They also help collect money at the entrance during the outdoor market events. The Planning Committee meets on all aspects of the fair to line up entertainment, vendors, schedule, layout, learning center to make the Fair a fun and educational event.